This review is a guest post. About the guest author: The author of this post is a movie lover and represents Cashkaro.com, a website that offers a way for all buyers to shop things they need at the cheapest price. All the views represented in this post are by the guest author. This one is not even a guess! The queen stepped down which made even the little flaws of this movie invisible. She gave an impeccable performance in her previous movie “Queen” which floored every viewer of that movie. She even won a national award for it. In this film, she has done double roles and has wooed everyone with her outstanding acting skills. It will be hard for you to even believe that both the pole-apart roles have been performed by a single lady. It’s still not late if you haven’t seen this movie. Book your tickets via CashKaro.com and get awesome deals using bookmyshow coupons present on it. 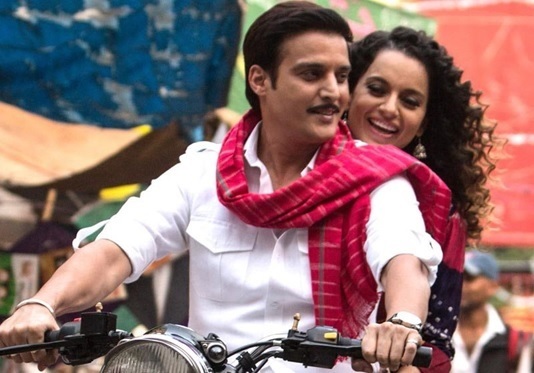 Apart from Kangana Ranaut, this movie has power packed performances from R.Madhavan, Jimmy Shergill, Deepak Dobriyal, Eijaz Khan and Swara Bhaskar. R.Madhavan has a big fan following in Bollywood and it will be a delight to watch him as due to his other films commitment in Tollywood, he rarely signs for Bollywood films. The Jodi of Kangana Ranaut and R.Madhavan is unusual yet a charming one. 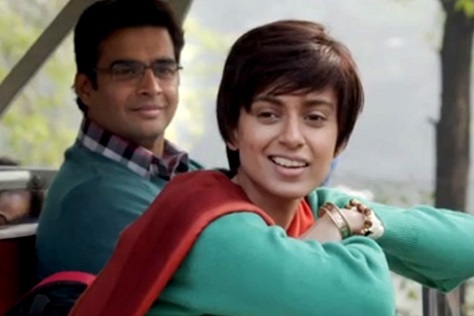 Kangana Ranaut performs this vivacious character while Madhavan plays a subdued role. Opposites attract and this is what makes this pairing a hit. Ditch those long length kurtis and sport short ones. 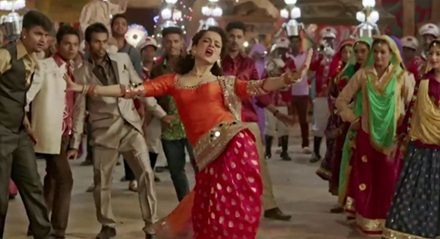 Kangana Ranaut has sported the newest traditional as well as fusion of Indian and cultural wear in this movie. And she looks like a dream in every outfit. 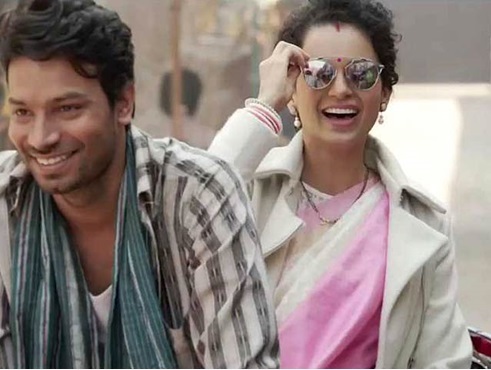 The sound tracks of ‘Tanu weds Manu returns’ have already climbed the chartbusters and viewed like a million times. “Ghani Bawri” is a super hit. It has been sung by Jyoti Naroon and the lyrics have been written by Raj Shekhar. Most of its songs are foot-tapping. The storyline of the movie is pretty simple and something you can relate with your everyday life if you are married. This catches the attention of audience more as they find the dialogues as well as locations similar to their life. There’s nothing hard to digest here which lends it a touch of simplicity. 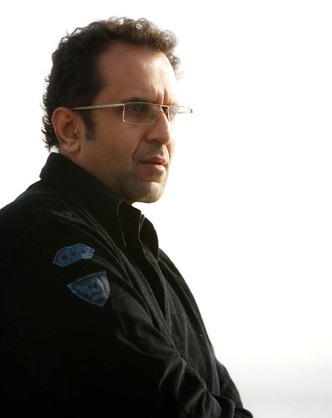 The movie has been directed by “Anand L Rai” who delivered other hits like ‘Raanjhana’ and ‘Tanu weds Manu’. Both of the movies were enjoyed by audiences and it will be an under-statement to say that same expectations are riding from this romance comedy movie. What are you waiting for? If you still haven’t watched this movie, rush!! This review of Interstellar is a guest review by one of my friends Amar Singh. This line said by Alfred Borden (played by Christian Bale) in The Prestige (2006) pretty much sums up what the brand Christopher Nolan is all about. His new instalment, Interstellar, is now in the theatres and man o man, what a ride it is! If one has to capsule the story of Interstellar, it would read something like this; this is basically the story of Cooper and his bond with his daughter Murph that surpasses the limits of the universe. The plot of the movie has been based in the future where the climate of earth is deteriorating at a rapid pace. The only chance for human beings to survive is to find a new abode in some other galaxy where they can start life afresh. This daunting task is laid upon Cooper, to pilot the spaceship Endurance, which will go through a warmhole discovered near Saturn and hunt for a new earth. But the story is not as simple as it reads. There are so many elements, so many concepts that Nolan has introduced (and that is what we expect from a director who has made Memento and Inception): theory of relativity, warmhole, blackhole, time and gravity as other dimensions, and so on; that it becomes an uneasy and adventurous ride for us as it is for Cooper and his crew. But behind all these heavy concepts, there is the strong emotion of love that becomes the main thrust of this movie. If one goes through Nolan’s movies from the beginning, there is a gradual development of an enlightening process of his protagonists that one can trace in his films, which is directly proportional to his advancement as a director. He is one of the brightest students of cinema who is trying to learn new lessons with every movie he is making. And one thing that has become his signature style is the way he is obsessed with the concept of time and how it affects us on different levels and how we fit ourselves in its not-so-linear movement. In Interstellar, he has gone way ahead of his previous movies in dealing with such high concepts which one has to brainstorm with repeated viewings to understand them. And I have not even talked about the visuals yet. Oh, what an experience it was! If there are flaws in the movie (there are a few), all of them will be subsided with the grandiose of the visuals. Just invest yourself in his world; you will come out with a never felt before riveting experience. In the movie, when Cooper is dropped into a fifth dimension from where he gains access to time and gravity as physical entity, which he uses further to convey messages to his daughter, the very scene becomes so intense and emotional that one can go through the psyche of Nolan himself. The concept of filmmakers as someone who have an access to parallel times (which they gain through their camera) have been repeated quite a few times in different movies (Hugo and Inception are among such examples), but this movie becomes so personal for Nolan that in that very scene, we can see the struggle of a maker to look for and give directions to his greatest creation, his daughter, so that she may be safe and secure. If you love cinema, go watch Interstellar. Whether you’ll like it or hate it, it doesn’t matter, what matters is that you will remember the experience for days and will indulge in the dialogues related with this movie. This is where cinema comes at its best, and this is what we call a true cinematic experience.